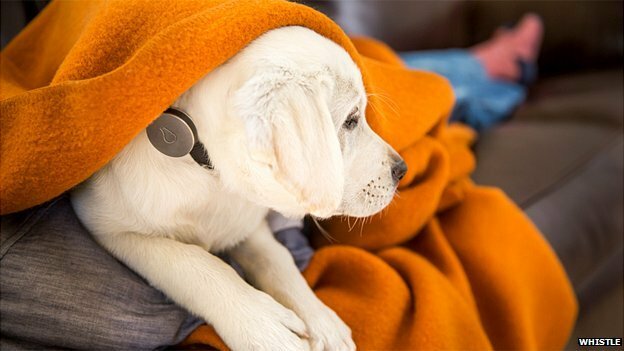 Whistle - records your dog's movements, and flags up any unusual behaviour that could indicate illness. A small activity tracker containing an accelerometer is attached to the animal's collar, and transmits the data gathered to the company's servers over wi-fi. This is then analysed, comparing it to your dog's normal behaviour - and a database the start-up is building of typical behaviour. You can also send a full activity report to your vet. "We can know if your dog went for a walk or played in the park, and you can see that activity in a fun timeline-like format on your mobile phone," says Ben Jacobs, whistle app creator. The app means you can follow what your pet is up to when you're not around, as well as add comments and photos to the timeline to share with family members or friends. Next to critical illness, one of the most worrying moments in a pet owner’s life is when their four-legged friend decides to go walkabout – alone! Pethub started in the US, and now operates in 22 countries. 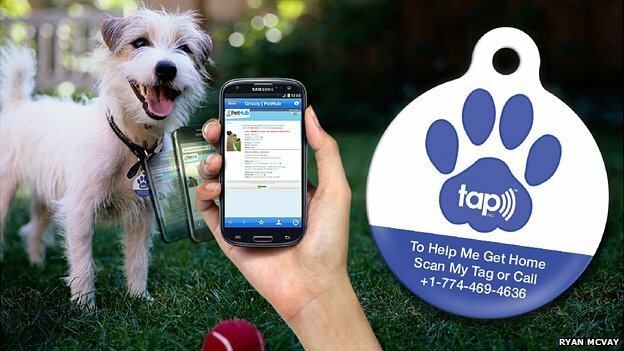 It produces collar tags that have a QR code, website address, phone number and more recently an NFC (near field communication) chip that connects people that find stray pets with their owners. By reading the QR code or the NFC chip with a smartphone, a profile for the lost animal is brought up, with a list of emergency contacts. An alert is sent either to you or to Pethub to say that the tag has been scanned, as well as an email with GPS coordinates so you can track your dog down. "It can help the pet get home before they even get to the shelter to be scanned from microchip," says Pethub's Lorien Clemens. "In US only 5% of pets have microchips and 58% of those are out of date." Pethub can also sends details of lost pets to local shelters and vets. As well as dogs and cats, Pethub has horses, goats and even two "escape artist" tortoises as customers. "Last year we looked at all of our pet recoveries, and we found that 97% of them had gone home on the same day that they were missing, and 25% have gone home within an hour after going missing," says Ms Clemens. The pet industry is worth over $50b in the US alone each year, so it's not surprising a growing number of start-ups are targeting the market, especially when you consider the love affair between furry animals and the internet. Pintofeed - a remote feeding system controlled using your smartphone. 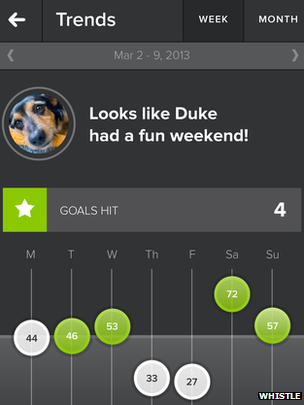 Swifto - which lets you book dog walkers online and track your pet's walk using GPS. iPet Companion - you can play with abandoned cats living in shelters across the US, online. 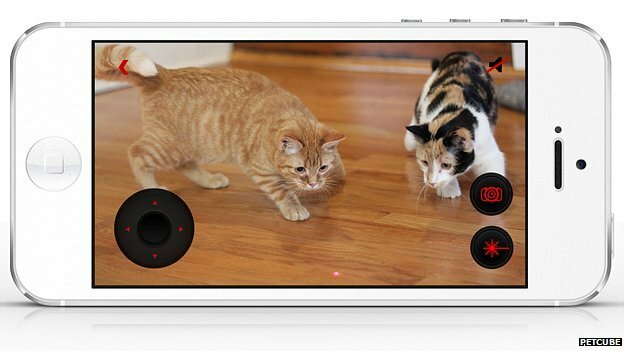 Petcube - will let you play with your pets - and talk to them - on your smartphone from wherever you are in the world. Look at the mSpy, great phone monitoring application. You wont regret it. It is a nice way to track our pets through this tracking locator device, It will be good for us to freely from our pet side. If you are looking to buy the best quality of dog tracker device, visit on back2you. Why a dog is great for your health!